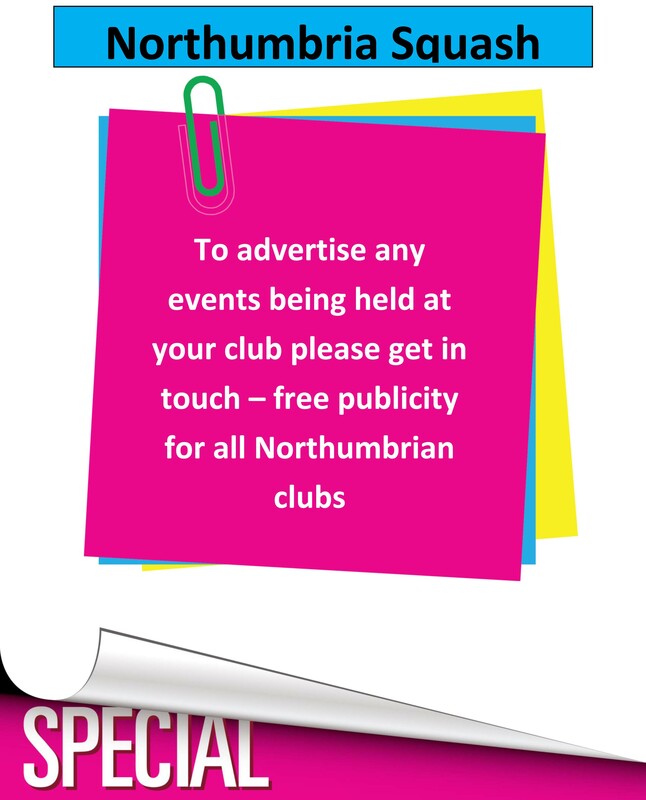 This weekend at Tynemouth squash club the county closed with A/B/C events for men and a Ladies event took place. With Mercedes-benz northeast as the sponsor and an encouraging 57 entries it promised to be a successful event. With the strongest entry for a good few years the ‘A’ event had most of the counties top players. Last years champion Dave Barnett was favourite to defend title with Paul Lord seeded to meet him in the final! The first round all went to seeding with the exception of Alnwicks Brendan Callaghan who made it through courtesy of a bye as Lewis Musonda’s withdrawal. The quarter finals seen Barnett , three seed Jon Tate and Paul Lord through comfortably, the fourth match however was a very close match. It was a match between 4th seed Steve Calvert (Tynemouth) against Andrew Staley (Consett). the match was over an hour and Steve just squeezed through in four games having been down game ball in the fourth, Staley played a really good game and was so close to an upset. The semis then matched up Barnett Vs Calvert and Tate Vs Lord. The first ended up being a quite comfortable 3-0 to Barnett with Calvert a little weary after his earlier match against Staley! In the other match Lord had to concede whilst 8-2 up in the first game Vs Tate, he had a reoccurence of a hamstring injury and was unable to continue, leaving a repeat of last years final Barnett Vs Tate. The final as it always has been between these two players promised to be long and close! Barnett took early control winning the first game a comfortable 9-4. The second however had some brutal long rallies early on and they took there toll on Barnett as he noticably tired and was soon down 6-2 and 7-3. Barnett rallied to hang in there and pegged Tate back and even though Tate had game balls a tired Barnett edged it 10-8 to go 2-0 up. The third started with some tired short rallies from both and was soon at 5-5, Barnett then ground out the remaining rallies to win it 9-5 and take his third county title in a 1hr 10 final. The Plate final was between Peter McLeod and Chris Boyer, Peter came through to win 3-1 over a tired Chris who had only jours before battled through against Glenn Ward in a mammoth five setter. 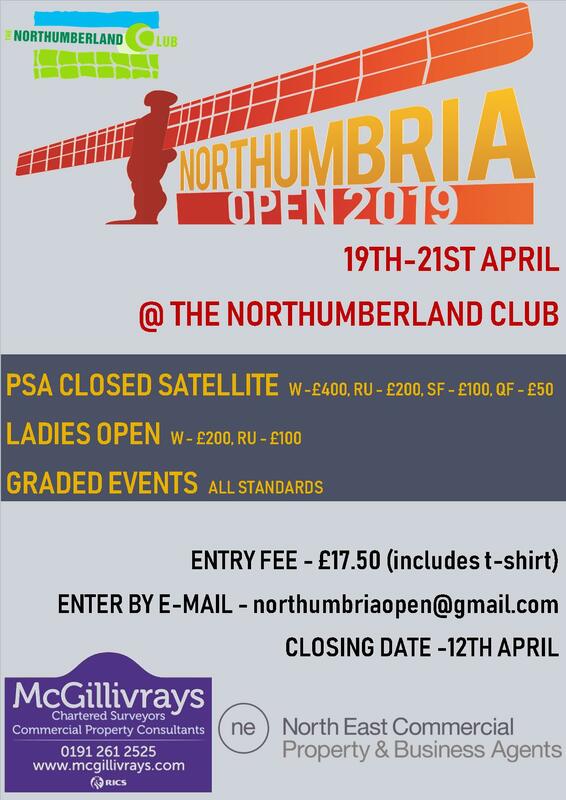 There were 17 entries into the ladies , with a good mixture of youth and experience, the 1 seed was last years winner Sarah Bowles who made the trip back from uni in Leeds to play, and second seed was last years losing finalist Emma Barnett. The draw went to seeding in the first round with all those expected to go through making it through. Teh quarters threw up one shock and a very close scare . The shock came when Sarah Oswald beat Eleanor Bowles 3-0 to progress to the semis, It was Sarah’s sister who neraly made it 2 shocks when she narrowly lost to 3 seed Sarah Duckworth 3-2, with both Oswalds playing exceptionally well. The semis on the sunday morning were reasonably comfortable for the top two seeds with both Bowles and Barnett winning 3-0. the Final then was like the mens a repeat of the previous year. The match started with Bowls taking early control attacking loose shots from Barnett and winning the first game 9-0. The second however saw Barnett taking control of the rallies and playing some lovely short balls making Bowles work much harder for her points, Barnett had game balls but Bowles narrowly took the game 10-9 and a 2-0 lead. The third game saw a still fresh ish Bowles beta a tired Barnett 9-0 once more and successfully defend her title. The plate final saw one of the counties leading juniors Ashley Hay from Jesmond beat Anne Bradsall from westoe in a well contested three games. The ‘B’ event saw a full mixture of ages competing from our juniors at 13/14 years old to our county O55 leged John Smith from Newbiggin. It was the older age group that suceeded with John reaching the final in the bottom half meeting his fellow Newbiggin team mate Jimmy Tosney. The first 2 games were shared, then Tosney took control ending up a 3-1 winner. The plate was played between Stan Watson of Tynemouth and Jim Douglas of the Northumberland club with the match going to the wire with Stan winning through 3-2. The ‘C’ event saw some younger players still with under 13 players competing. The final was between Istvan Soos from Crowtree and Andy king of tynemouth with Andy winning through comfortably as h did throughout the event 3-0, next tear the ‘B’ event at least for him! The plate saw Istvan’s son Gabor win through against Stuart Proctor ensuring the Soos family went home with a winners trophy. The event was a success thanks to hardwork put in by both Clive Lucas and Derek Collins both from Northern, they ensured the event ran smoothly and kept players happy. A big thanks tothough for Nick Park from Mercedes-northeast for sponsoring and coming along on the evening to present the prizes.